Crema Marfil Rustic 12x12 Split Face. SOLD BY BOX OF 10 TILES / 10 SFT. Crema Marfil Rustic 12 in. x 12 in. 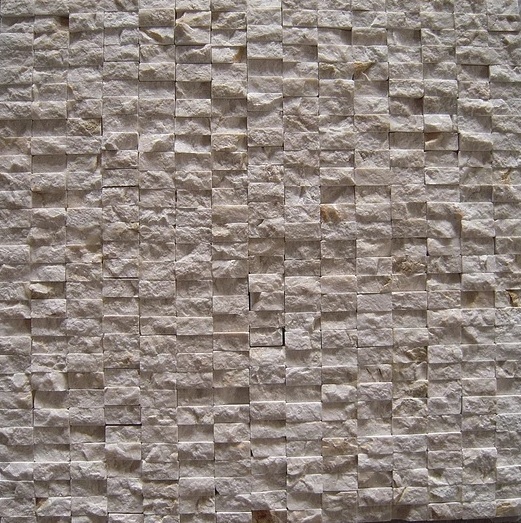 split face is a perfect choice for an accent wall or backsplash. It features warm beige tones. Split face finish adds character and rustic elegance. Create a marble tile kitchen backsplash that is alluring and unique or a fireplace wall that draws the eye forward, without being intrusive. This elegant marble tile will complement a wide range of decor styles and architectural elements.Use it to give the third dimension look to your project.